Simple but sensational. A few fresh ingredients brought together with a lovely dressing. Great food made easy! Divide the chicory into quarters and rinse thoroughly. Cut each quarter lengthways into thin strips. Peel and slice the orange and set aside. Squeeze the lemon and filter the juice through a tea strainer. Combine the lemon juice with the olive oil, a pinch of salt and a generous grinding of black pepper. Peel the avocado and dice the flesh. Dress with a teaspoon of the dressing to prevent discolouring. 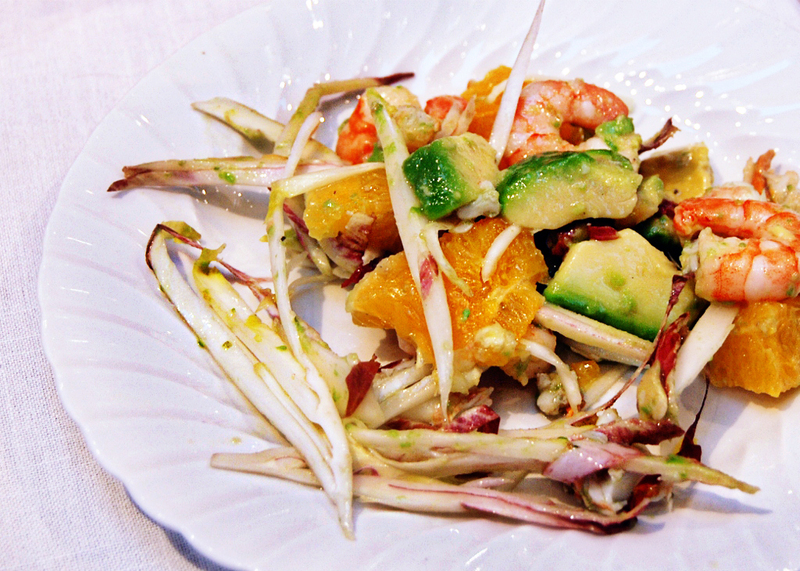 Put the avocado, crayfish, sliced orange and chicory in a salad bowl. Drizzle with dressing and serve.